I was actually on my way to another café this morning when the sunny courtyard of Café DOV caught my eye. 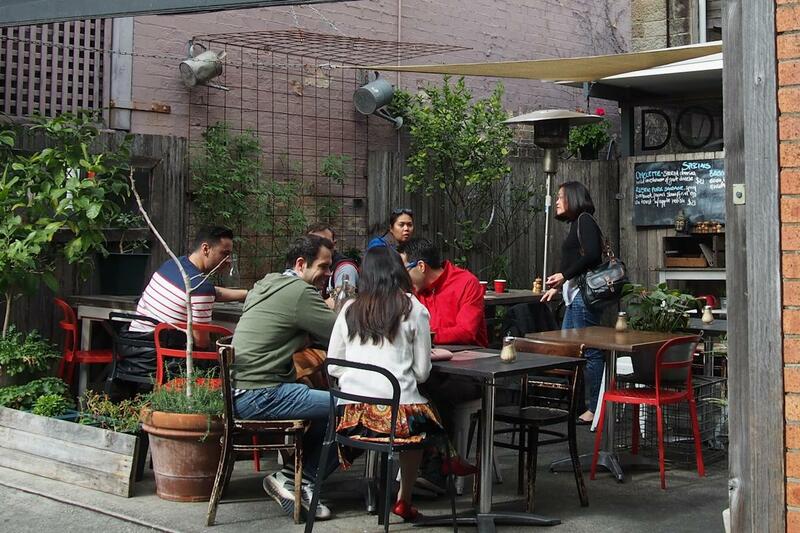 With winter still loosening its grip on Sydney, the warm rays and one spare table were enough to entice me! There are three entrances to CD as it’s located on a street corner. There’s plenty of room inside and in the courtyard as well as three tables outside the front (however these don’t get the morning sun). The service we received throughout the morning was fantastic from the quick and friendly staff. CD is proud of the fact that they source as much of their produce from Sydney region farms as possible. They also prefer “sustainable and organically grown” which would be one of the main reasons for growing their own herbs and vegetables in the garden and on their own Blue Mountains organic farm Green Acre. 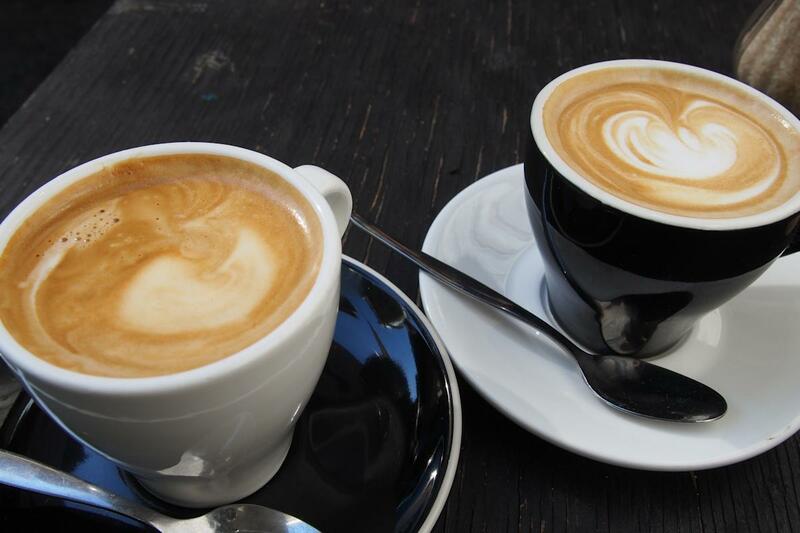 I was very impressed by our coffees ($3.70) today. And why not? Allpress is in use! Strong and deep flavours were enough to encourage my guest and I to have more than one! T2 teas of the usual variety are available from $4.50 to $4.80. Three varieties of cold pressed juice ($9) are available: the retox (carrot, apple, beetroot, celery and ginger), botox (kale, spinach, lemon, cucumber and green apple) and retox. 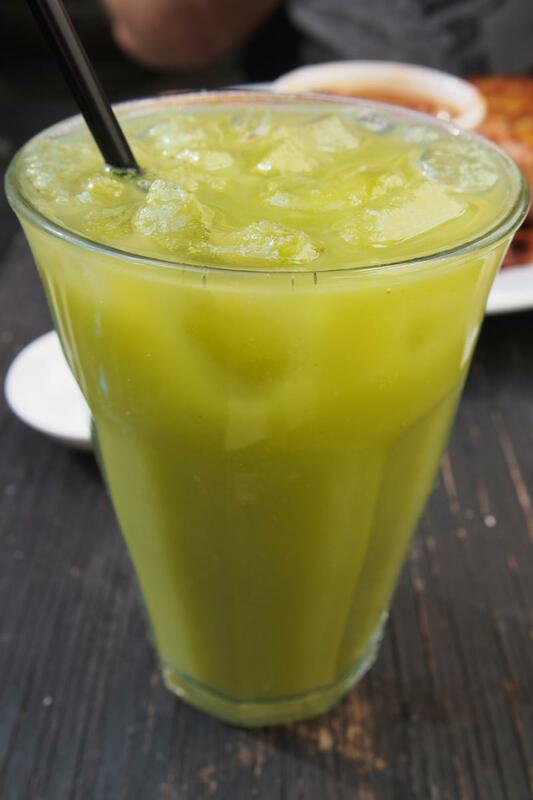 My retox was a great combination of cucumber, celery, lemon and green apple. One of the more unusual combinations that I wouldn’t go for but I would definitely have it again. For those worried about the celery, it definitely wan’t overpowering. For the hungry! 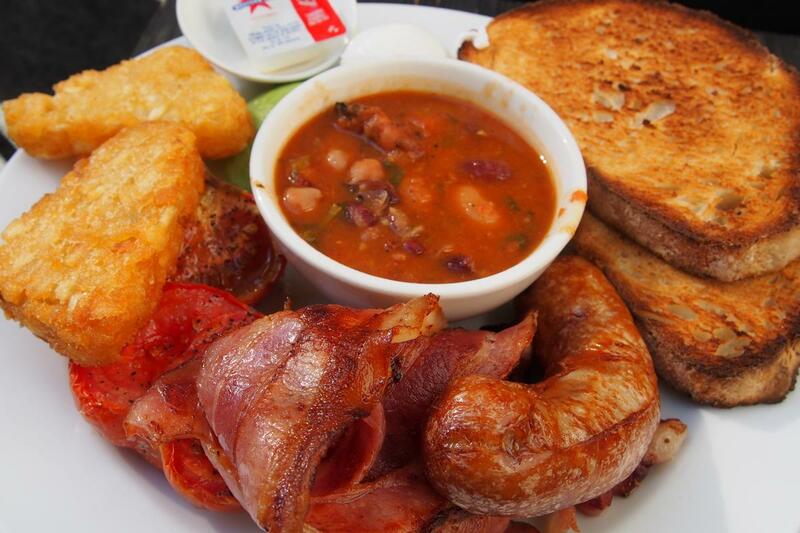 The crowded house ($25) has a bit of everything including delicious crispy bacon, pork sausage, roasted tomatoes, crunchy potato hash, fresh avocado and housemade backed beans. Well made baked beans seems to be quite hard to find but CD definitely has a winning recipe on their hands. My guest scooped every last bit of it up with the toast. I was stuck between two dishes that read very well on the menu but I was happy with my choice of corn fritters ($19, add bacon $5, salmon $6). For those looking for a filling, savoury dish this comes highly recommended. The fritters were crispy on the outside with quite a dense filling and that is exactly what I was after on this particular morning. I enjoyed the tomato relish more than a lot of recent versions that I’ve tried – kudos to CD for creating a sweet, suitably-spiced relish with great texture. It was the perfect compliment to the fritters. 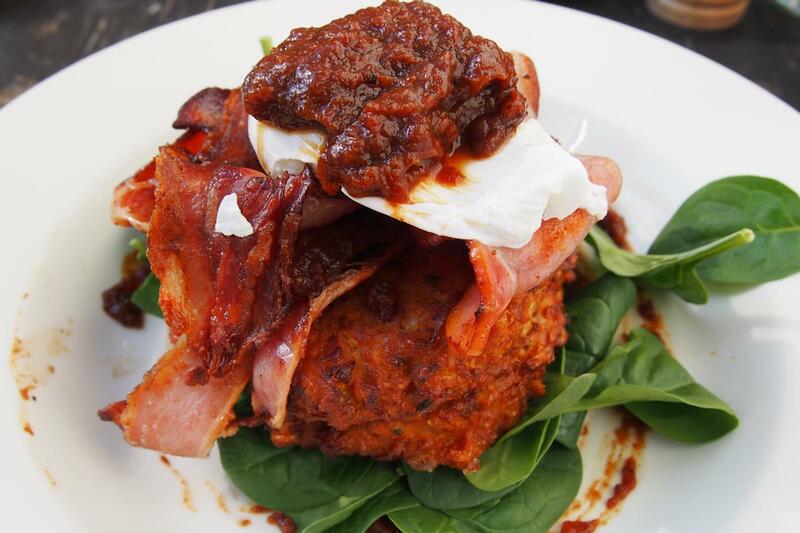 On top of the fritters was just the right amount (ie a lot) of crispy bacon and a perfectly poached egg. This all sat on a bed of spinach which adds colour and helps you to feel like you’re eating conscientiously! Overall, extremely satisfying. Some other items on the breakfast menu include DOV toasted muesli with yoghurt and stewed fruit ($11), ricotta pancakes with blueberries and maple syrup ($16) and Scandanavian (smoked salmon, avocado, fresh tomato, lemon, rye toast, scrambled egg, hollandaise, $19). 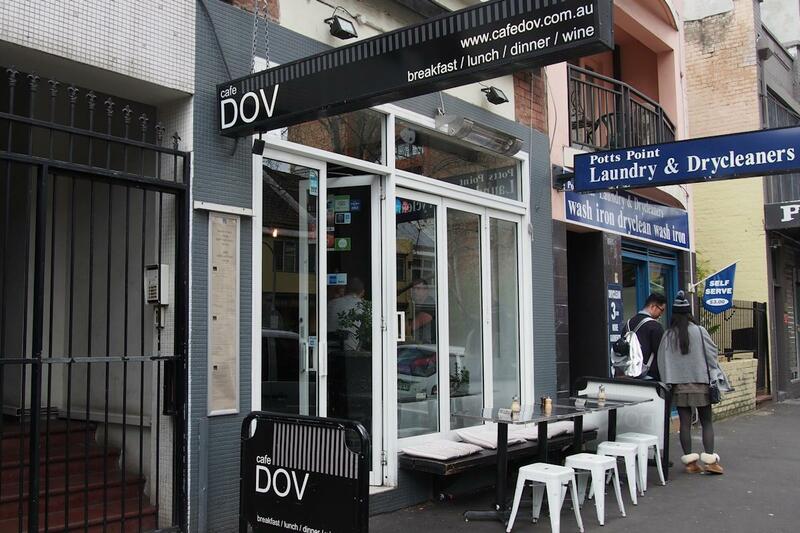 With your choice of surroundings, friendly staff and superb coffee, you can be sure that Café DOV represents a great weekend breakfast choice. While some of the dishes and elements require more imagination and better execution respectively, I would definitely drop back in to this corner location again. This entry was posted in Sydney - CBD, Sydney - Inner East and tagged Disabled access, Dog friendly, Eco friendly, Free range eggs, Gluten free options, Outdoor seating, Parking close by. Bookmark the permalink.